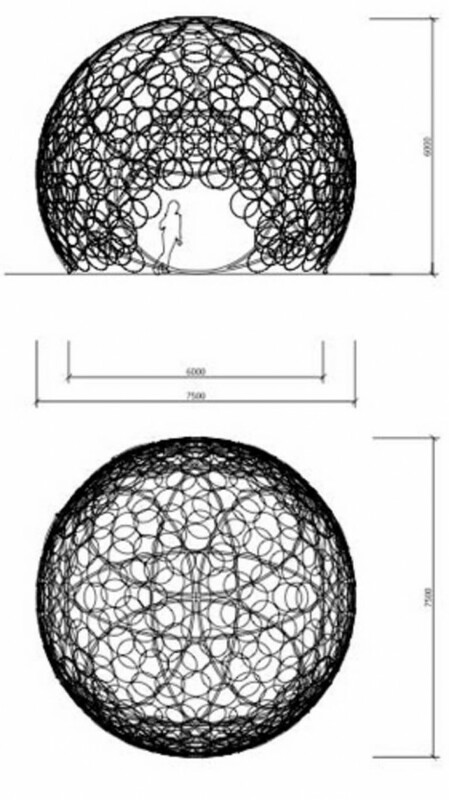 This April, Storefront for Art and Architecture and Abitare magazine will be appearing in Milan for the 2008 edition of the Furniture Fair (16-21 April) with a new version of the Ring Dome pavilion previously installed at Storefront Gallery in New York. 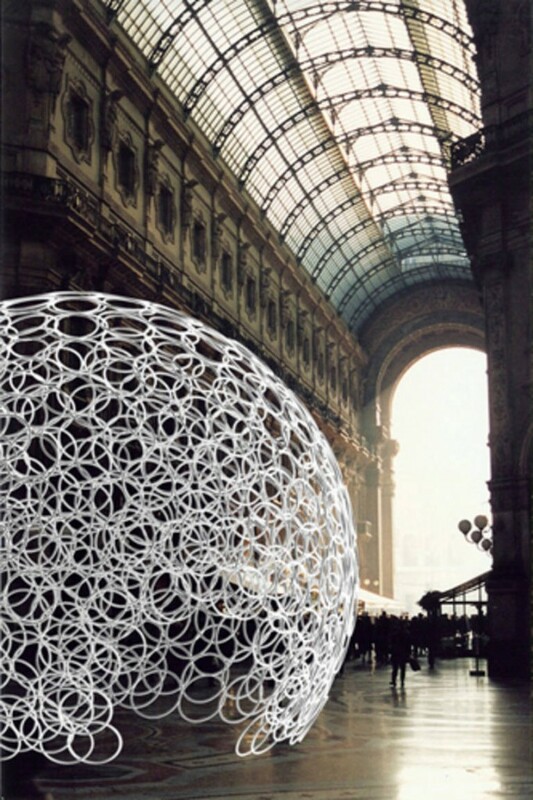 The pavilion, designed by Minsuk Cho/Mass Studies and built out of 1,500 hula-hoops and and 12,000 zip-ties, will be installed in the Galleria Vittorio Emanuele, the shopping arcade that connects Piazza Duomo and Piazza La Scala. 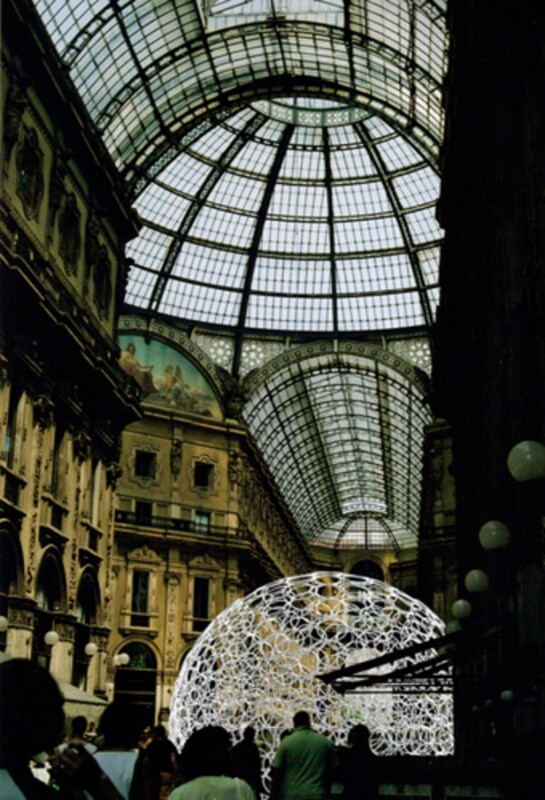 During the five days of the Fair, the pavilion will host a series of events organized by Abitare magazine and Storefront. These will include a 100-minute dialogue between Hans Ulrich Obrist, Pierre Paulin and Rem Koolhaas; a day-long domino-interview with 50 participants, starting with Naoto Fukasawa; Gaetano Pesce in conversation with Oliviero Toscani; and a day-long open editorial meeting.